In rural New Brunswick, 16-year-old Jessica places a Personals ad in The Globe and Mail, seeking news of her father, a drug-dealing philanderer who has recently left town with the local hairdresser, leaving Jessica’s mother distraught, and Jessica shouldering the responsibility for her younger autistic brother Timmy. In Saskatchewan, 17-year-old Sween, an authority-defying smartass, sees the ad in a dentist’s waiting room and responds. 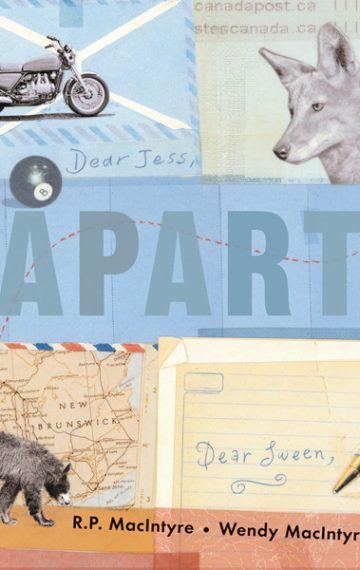 Jessica and Sween’s exchange of letters results in an intense, long-distance friendship, and mutual support and advice as Jessica’s father finally returns with sinister plans for Timmy, and Sween is kicked out of the house by his overbearing father. When Sween decides to meet Jessica in person and help her in her struggle with her father over Timmy, the outcome is surprising and unsettling.